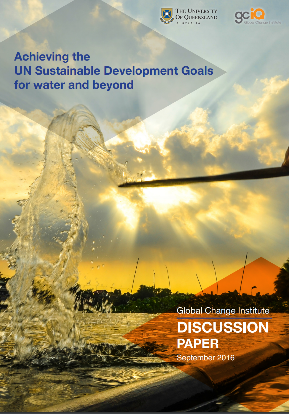 Since the adoption of the 2030 Agenda for Sustainable Development in 2016, scientists have been studying its “indivisible whole” nature, with the objectives to propose viable methods and tools for integrated planning of the implementation of the 17 SDGs. 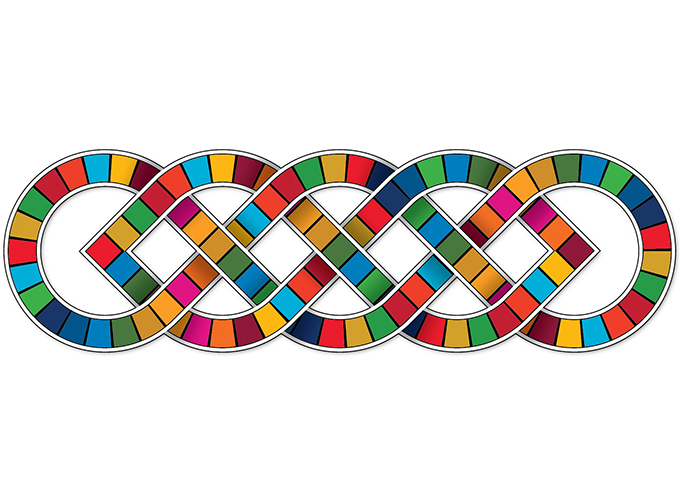 The three dimensions of sustainable development as outlined by the 2030 Agenda—economic prosperity, social justice and environmental protection—are viewed as “intertwined”, like three strands of the DNA. The 17 SDGs have a clear starting point in one of the three dimensions of sustainable development and embed all three dimensions within their targets. 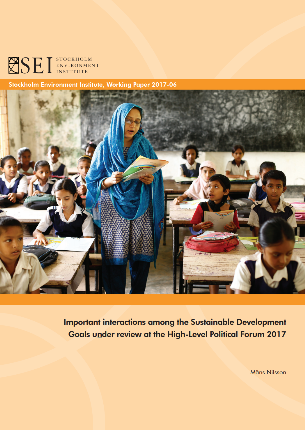 Innovative and unconventional policy approaches have been developed to analyse and describe the intersections (meeting points), interlinkages and the dynamic causal relationships, as well as multidisciplinary methods for developing implementation strategies to achieve the complex and aspirational 2030 Agenda and its 17 SDGs and their targets. 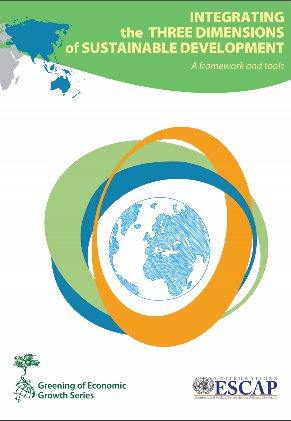 ESCAP’s methodology launched in 2016 takes stock of that and applies systems thinking approach to integration of the SDGs into national planning. Further illustrating the application of integrated and systems thinking approaches is a selection of case studies. 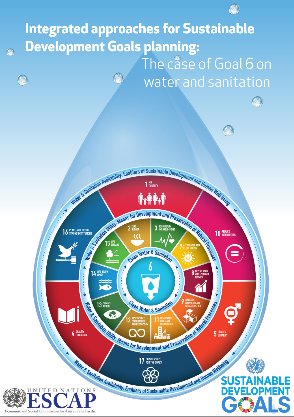 Country case studies describe the applications in Sri Lanka, Tajikistan, and Fiji with SDG 6 on water and sanitation planning at the core. A case study on SDG 11 on sustainable urban development applies systems thinking principles including best practices from Japan, the Republic of Korea, Singapore, and Thailand in relation to urban metabolism and natural resource efficiency. The regional case studies highlight emerging, persistent, and systemic issues, including microplastics, wastewater management, and gender-sensitive access to sanitation. 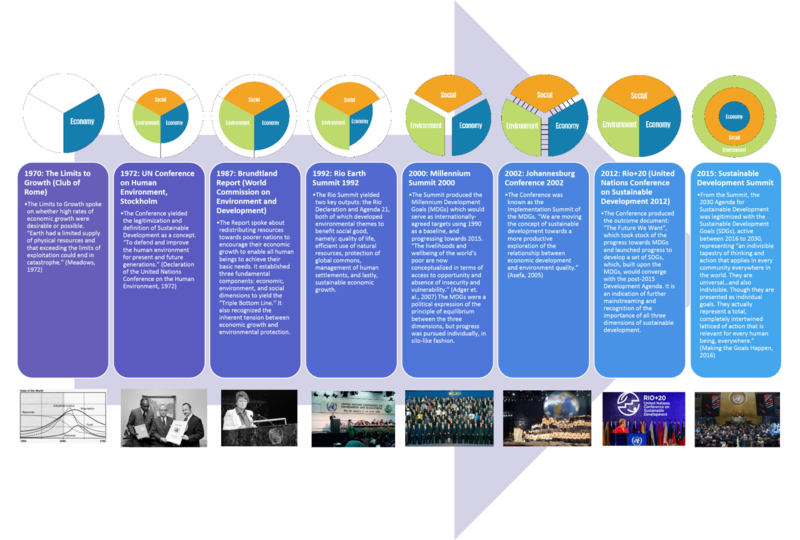 The methodologies for integrated policy analysis developed by several research institutions are presented in the fact sheets section. The United Nations General Assembly adopted the 2030 Agenda for Sustainable Development and 17 Sustainable Development Goals (SDGs) as a universal and transformative development strategy. The 2030 Agenda commits the global community to “achieving sustainable development in its three dimensions—economic, social and environmental—in a balanced and integrated manner”. Integration of the economic, social and environmental dimensions, which comprise the SDGs, is key to achieving sustainable development. There is, in general, widespread acceptance of why the integration of these three dimensions is necessary; but there are also many questions as to “how” this integration is to be achieved. Addressing the question of how to achieve integration across the policy cycle at various levels will guide policy makers. 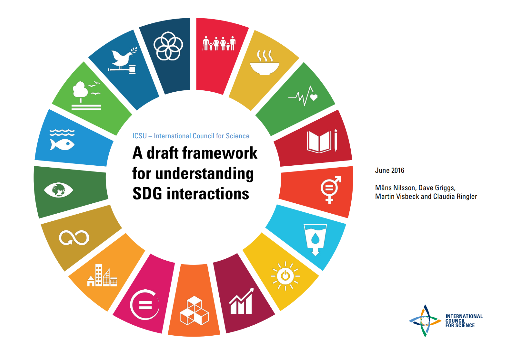 Foundational concepts, such as systems thinking, when applied to the 17 SDGs describe well the interconnectedness between the three dimensions, and provide holistic basis for analysis and the identification of “leverage points” for policy intervention. The multiple capitals approach also highlights that integration of the three dimensions of sustainable development requires balanced investment in and across different forms of capital. Limiting the focus on only one or a few forms of capital, leads to acceptance of trade-offs, and often causes decline and erosion in other forms of capital. Integration for sustainable development requires synergies between investments in the different forms of capital. High-level political commitment and inclusive and integrated visions are essential for setting the scene in integrating SDGs into national planning that will foster implementation of the 2030 Agenda on Sustainable Development and the SDGs. That will drive fundamental changes in national planning processes to engage all stakeholders, and reforms of institutional frameworks, as well as investments in strengthening capacities. The primary responsibility for achieving sustainable development rests with Governments. Civil society, and private sector roles, however, is also vital for realizing sustainable development objectives on the ground. Governments must take the lead and become adept at reconciling public and private interests, coordinating policies in different domains, facilitating and engaging a diversity of stakeholders and regularly monitor progress and impact of policies to allow readjustments to respond to emerging priorities. Access to and provision of capacity development assistance in the form of technical resources, publications, and toolboxes will assist with the integration of the three dimensions of sustainable development. 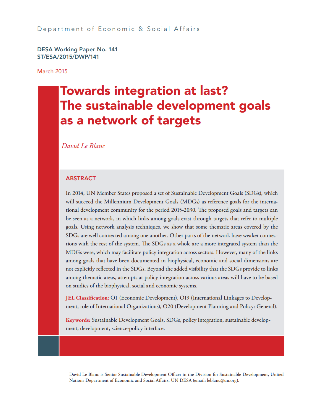 Integration of the SDGs into national planning requires a careful analysis of how the national planning strategies impact the balance between the three dimensions of sustainable development and a review of the existing institutional architecture and mandates to determine if these are fit for the implementation of the 2030 Agenda for Sustainable Development. 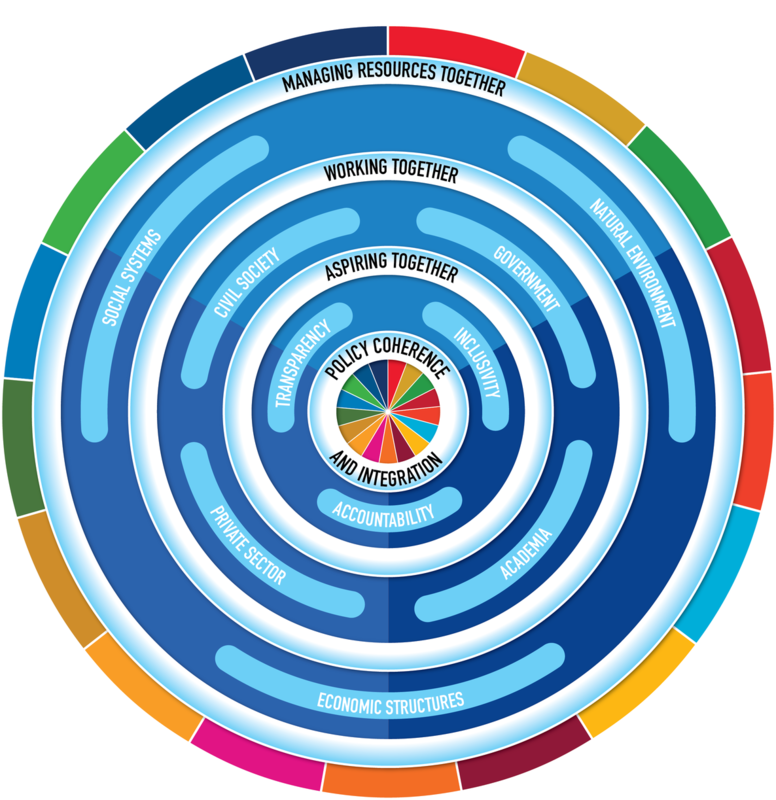 ESCAP and its partners have developed responsive and fit-for-purpose tools and methodologies to assist policy makers to analyse the inter-linkages and -dependencies within the 17 SDGS, that will provide a solid basis for prioritization and localization of the 2030 Agenda. Provided hereby is a menu of interactive tools and published methodologies such as systems-thinking, multiple capitals approach, qualitative scenario building, input-output analyses, network analyses, typologies, and interactions scoring, which assess the impact of policies and identify effective policy interventions (leverage points) for impactful investments, and efficient use of scarce resources, and comprehensively map stakeholders and their engagement to collectively develop an aspirational qualitative vision for societal change. This course was developed to support policy makers and sustainable development practitioners in developing strategies.